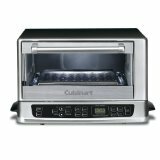 Cuisinart TOB-155 Toaster Oven is a 6-slice model has touchpad controls for pizza, bagels, reheat and defrost options. It also offers a heat sensor for precise temperature settings and has an easy to clean interior. 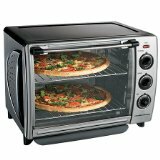 Breville BOV800XL Smart Oven Toaster Oven is an 1800 watt model that offers Element IQ technology for exact heating using the 5 quartz heating elements. It also has a user-friendly touchpad with 9 pre-set options. 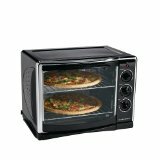 This is the Black & Decker CTO4500S 6-Slice CounterTop Convection Oven with Pizza Bump in stainless steel housing. Unit offers a 60 minute timer and 1500 watts of heating power. The interior is easy to clean with the non-stick coating. Has a temperature of up to 450° for perfect broiling and maximum baking. It has a slide out crumb tray for easy cleaning and a bake and toast signal bell. The unit measures 20.1" x 16.3" x 12.6". 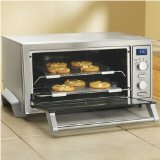 West Bend 74766 Countertop Toaster Oven is a 1500 watt oven that offers user-friendly controls for broil, toast, bake and roasting cooking options. It also has a 12" pizza pan, bake pan and a broil grid for easy use in the kitchen. 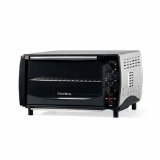 Delonghi DO1289 Esclusivo Toaster Oven is an energy efficient model that allows you to choose a temperature and a 2 hour timer with automatic shut off. It offers 8 settings for pizza and 6 for toasting. It comes with cookie sheets and a Smart Cookie baking function. 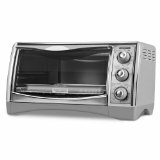 T-Fal OT8085002 Avante Elite Toaster Oven is a 1600 watt model that offers an easy to use control panel with many different custom settings. It also features a safe-to-touch exterior and a separate warming compartment. 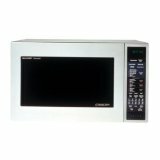 Sharp 1.5 Cubic Foot R-930CS Microwave is a 900 watt model that has 11 power levels and smart sensor pre-set settings. It offers a 15" turntable and low/high racks for even heating. 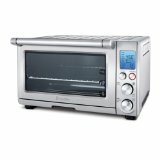 This is the Hamilton Beach 31199R Countertop 1.1-Cubic-Foot Convection Oven with Rotisserie. Unit includes numerous items such as a rotisserie skewer and lifter, 2 baking pans, 2 oven racks, a broil rack, and a crumb tray for easy cleaning of loose crumbs. There is a see-through window for viewing while cooking. The temperature can be adjusted, and a timer is provided. The parts are easy to clean as they are dishwasher safe. Unit will accommodate a 5 pound chicken or two twelve inch pizzas with it's roomy 1.1 cubic foot interior. For piece of mind it comes with a one year limited warranty. Unit measures 21.6" x 19" x 16.2". 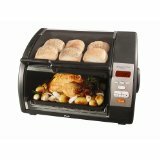 Hamilton Beach 31197R Countertop Oven and Rotisserie is a multi-functional model that offers broil, convection, bake and rotisserie options. It can fit a 5 pound chicken or 2 12" pizzas in its large interior. It includes 2 oven racks, slide out tray, rotisserie forks, rod and lift as well as a pizza pan. 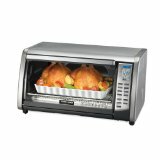 Black & Decker CTO6301 Toast-R-Oven is a 6 slice model that offers a 120 minute auto shut-off timer and a signal bell when done cooking. Housing has a stainless steel finish. 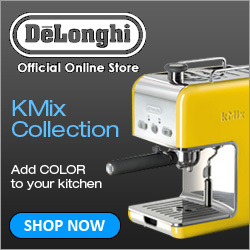 It has a digital display with touch buttons and electronic toast controls for even toasting. The interior is extra deep making it large enough for a 12 inch pizza. There are 2 oven rack positions making the unit versatile. The glass door provides viewing while cooking. Easy to clean removable crumb tray. Included with the unit is a pizza pan and a baking pan.